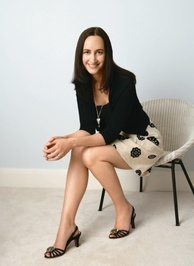 #1 bestselling author Sophie Kinsella's emotionally charged new standalone novel about marriage and family, and how those we love and know best can sometimes surprise us the most. With a colorful, eccentric cast of characters, razor-sharp observations, and her signature wit and charm, Sophie Kinsella crafts a humorous, yet thoughtful portrait of a marriage and shines a light on the danger of not looking past the many layers of the ones you love to discover how infinitely fascinating--and surprising--they truly are. After a visit to the doctor for insurance purposes Sylvie and Dan found out that they were both extremely healthy and that they should live very long lives. Another 68 years together according to the quirky and unusual doctor. This news would make most people happy but it put Sylvie and Dan into panic mode. How in the world would they keep things fresh and interesting for that many years? This was how Project Surprise came to be. It was a plan to execute a number of different surprises for each other to keep their relationship fresh and exciting. However, as all things in life, things didn't always go as planned and what started out as a series of surprises turned into secrets and discoveries. This book started out in typical Kinsella fashion with a bunch of quirky characters and a humorous and somewhat outrageous plot. I was hooked immediately and I was thoroughly enjoying the blunders and missteps that went along with each surprise. However, it didn't take long for the book to shift and the tone to change. It started becoming a little more serious and a lot more dramatic but not in a funny way. Although I was still enjoying it, I missed the style that I have come to know and love from Kinsella. While I was craving some light hearted humour I was getting some pretty serious relationship drama with only a sprinkling of humour. Fans of Kinsella's usual style may not enjoy this book as much as her others because it had a different feel to it. That was the case for me. Although I still liked it, it was my least favourite of her books to date. The characters were still unique and quirky but the plot wasn't as quirky as I was hoping. The very beginning and the very end were fabulous but the middle lacked a little of that special something that she is known and loved for. It was still very much worth the read but different from what you might expect from her. 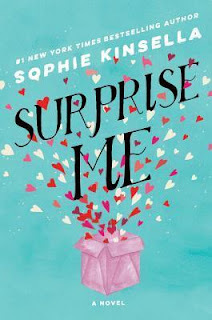 Sophie’s next novel, Surprise Me, presents a humorous yet moving portrait of a marriage—its intricacies, comforts, and complications. 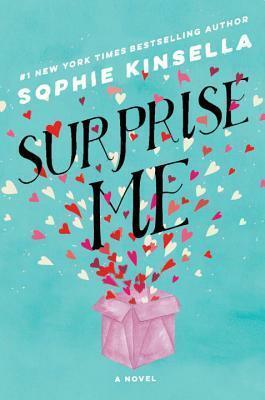 Surprise Me reveals that hidden layers in a close relationship are often yet to be discovered, and will be published in February 2018.